Last Tube tells you the last scheduled London Underground tube train from any given station and tells you how long you have left before it leaves. 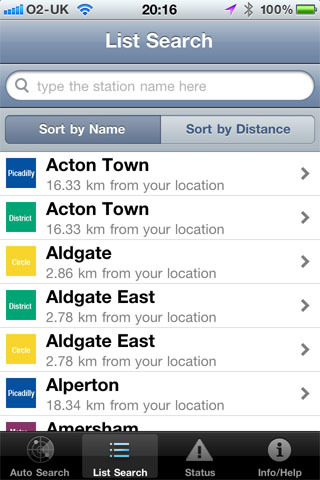 If you have an iPhone Last Tube will try to work out which your nearest 3 tubes are and tell you how far away they are. 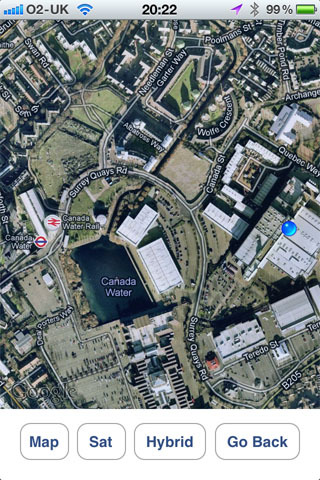 You can also see a map to the station and your current location. No more wondering whether there is time for that last drink. No more getting lost on your way to the station. 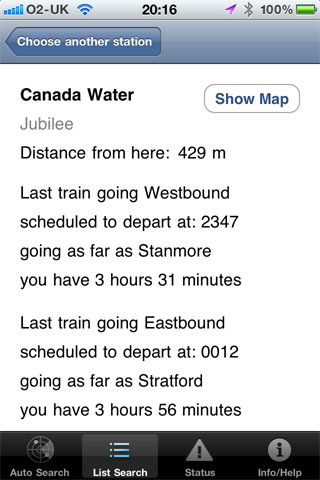 Timetable data stored locally (no need to be online). 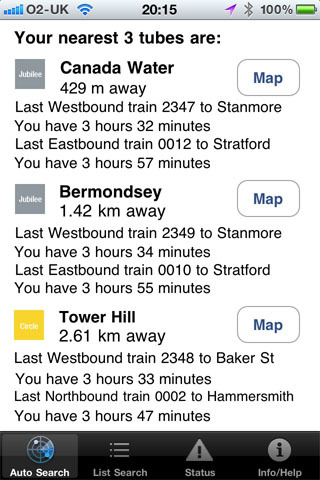 Check how the trains are running in real time (requires online access). 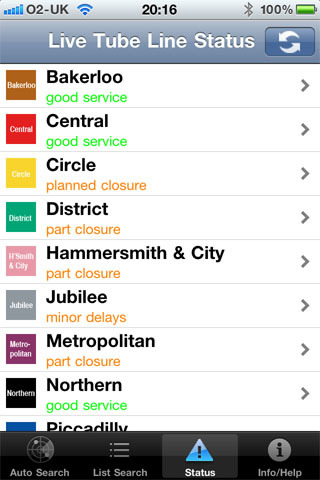 Note: Last Tube uses published timetable data. It does not know about bank holidays and engineering work. Maps require you to be online.